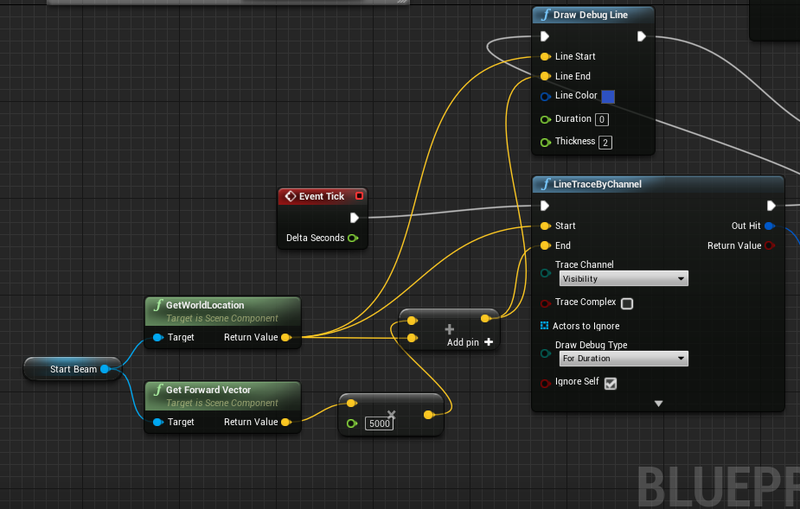 I would like to ask you if my blueprint script is correct for drawing lines (screenshot below), I would like to use it for production, but it says that Draw Line is Debug, what does it mean? That I shouldn't use it for production? Because I want only simple line like Draw Debug Line, particle effect would be overkill for me, and I am quite happy with Draw Debug Line. I just have one more question, why my line is blurry when moving? There is no simple method of drawing lines in 3d space. As goncasmage mentioned, if shipping mode is what you're after, your debug nodes will not produce anything - unless something has changed recently, which is unlikely. You can draw lines in 2d space. Either using widgets, or using HUD class' special Event. And yet another way is to draw them in material. Somewhat complicated to set up but the results are decent. Good ratio of performance vs flexibility. And particles, but you know that already. 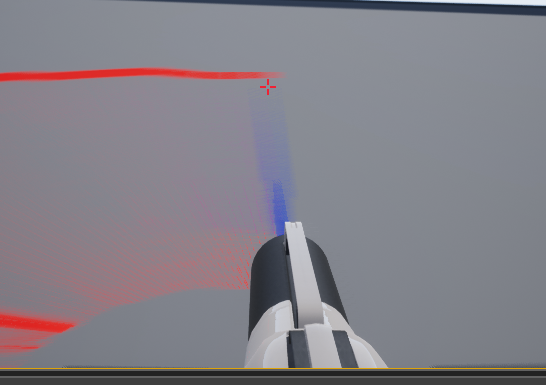 So there is no "native" way in Unreal Engine to draw lines in 3D space for production? Only particle effect? As far as blueprints are concerned, yes - there's no easy way to draw quality 3d lines. Rama's plugin allows for the debug nodes to work correctly if I remember right. As I mentioned above, material and splines are the other options.